1908 5pf. 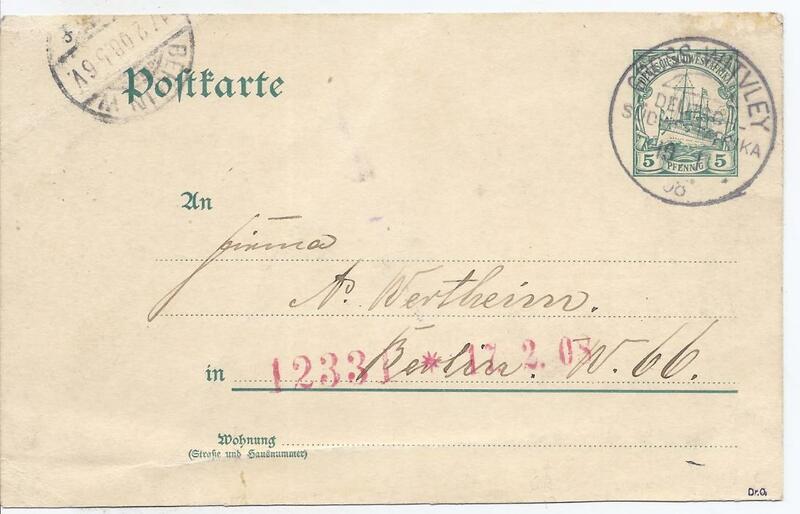 postal stationery card to Berlin cancelled by good strike of rare Gross Witvley cds, arrival cancel at left. Crease at bottom of card not unduly detracting. 1923 1d. 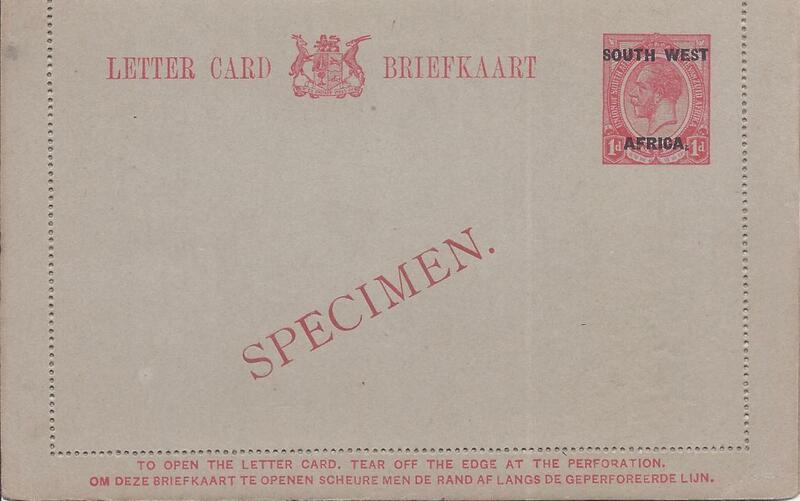 Afrikans overprinted postal stationery envelope bearing diagonal SPECIMEN overprint in red. Very fine condition. 1923 1d. 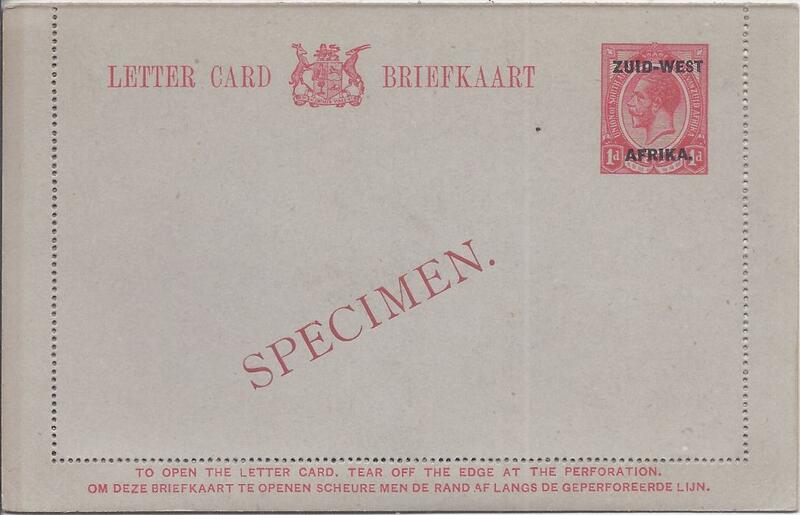 Afrikans overprinted postal stationery letter card bearing diagonal SPECIMEN overprint in red. Very fine condition. 1923 1d. 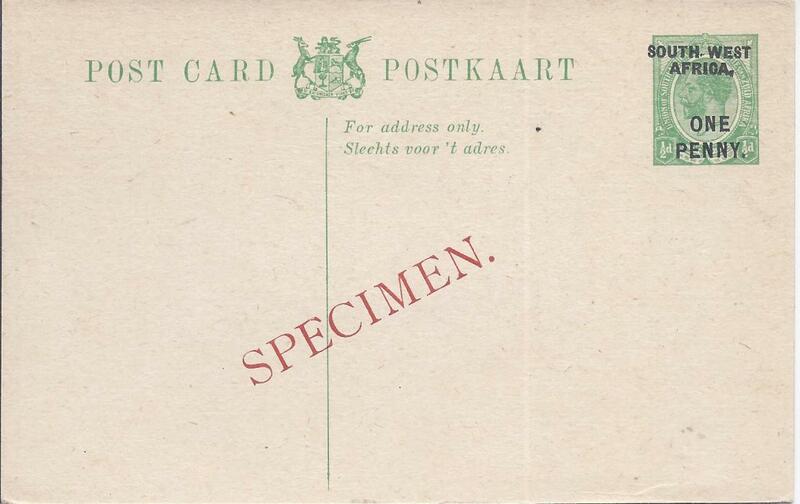 English overprinted postal stationery card bearing diagonal SPECIMEN overprint in red. Very fine condition. 1923 1d. 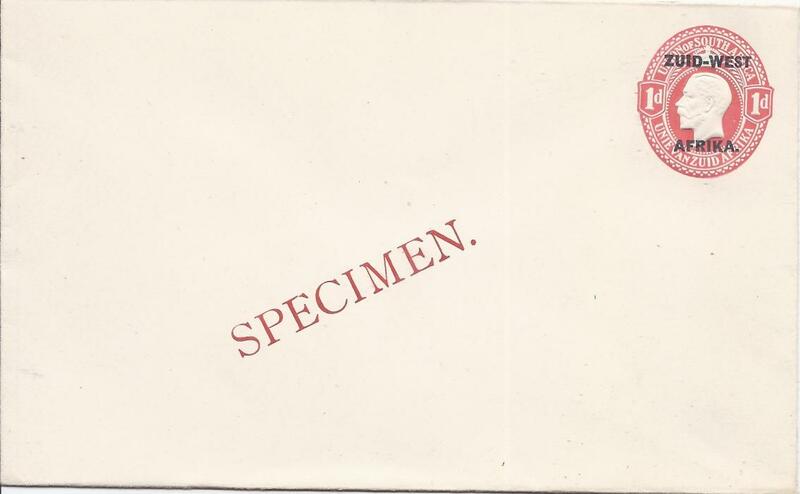 English overprinted postal stationery envelope bearing diagonal SPECIMEN overprint in red. Very fine condition. 1923 1d. 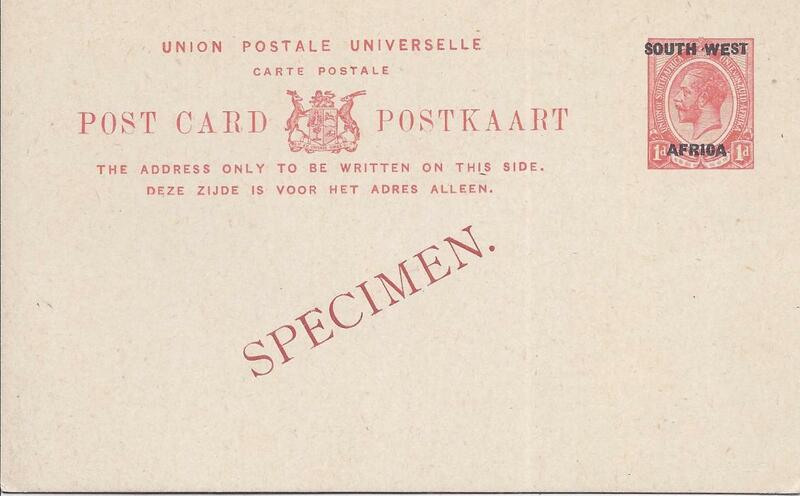 English overprinted postal stationery letter card bearing diagonal SPECIMEN overprint in red. Very fine condition. 1923 1d. 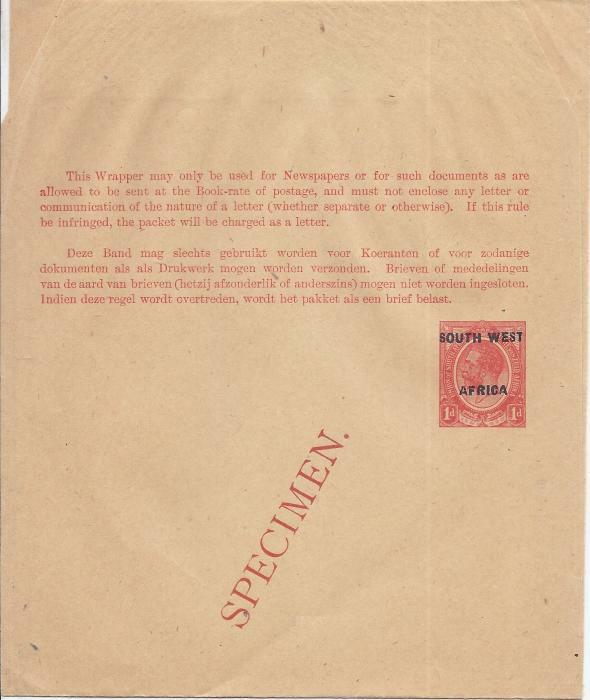 English overprinted postal stationery wrapper bearing diagonal SPECIMEN overprint in red. Very fine condition. 1923 6d. 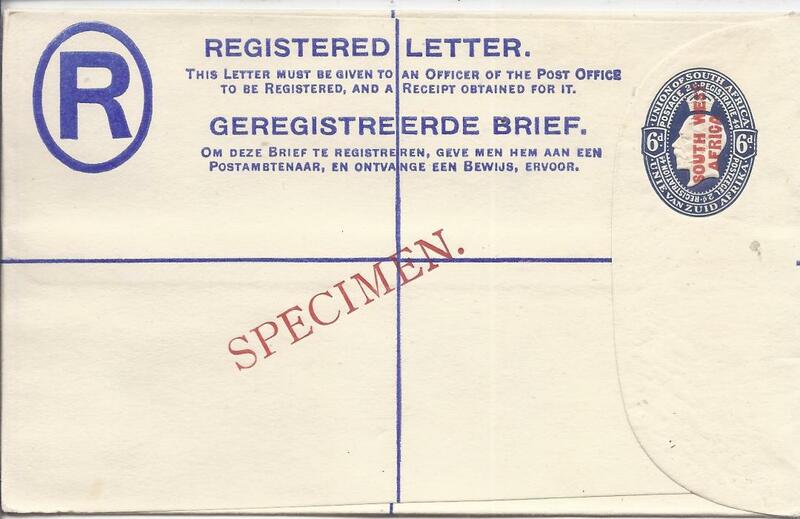 English overprinted postal stationery registration envelope bearing diagonal SPECIMEN overprint in red. Very fine condition. 1923 ONE PENNY on 1/2d. 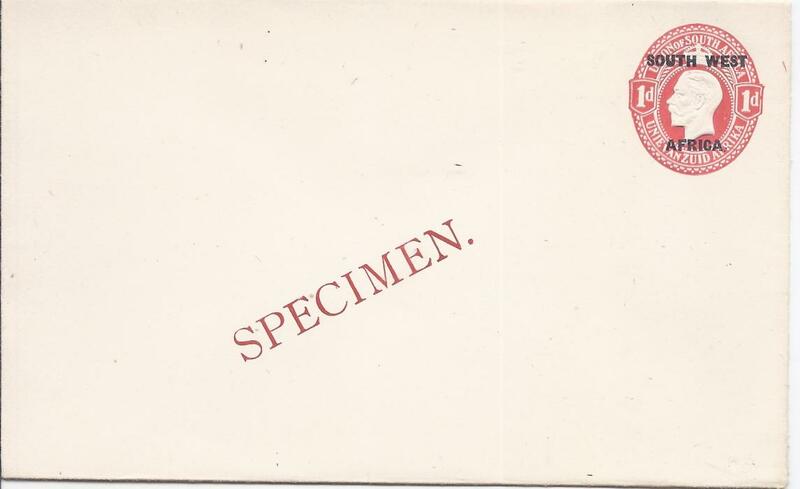 English overprinted postal stationery card bearing diagonal SPECIMEN overprint in red. Very fine condition. 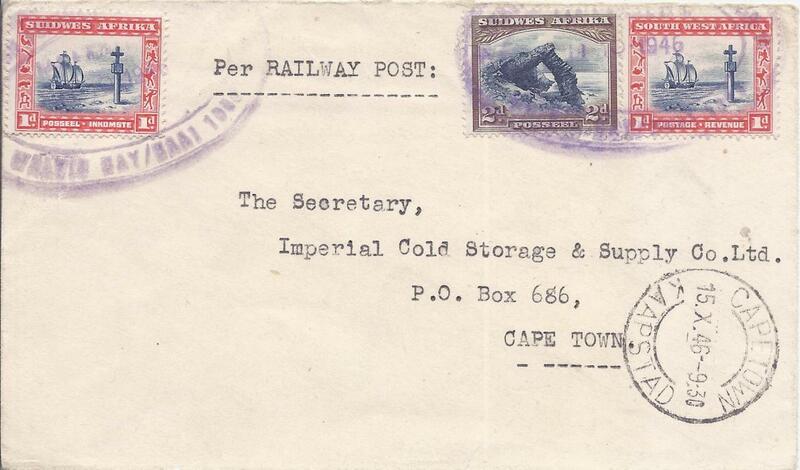 1946 Walvis Bay to Cape Town cover franked 1d. (2) and 2d. tied by two large double oval violet railway cancels with a clearer full strike on reverse.